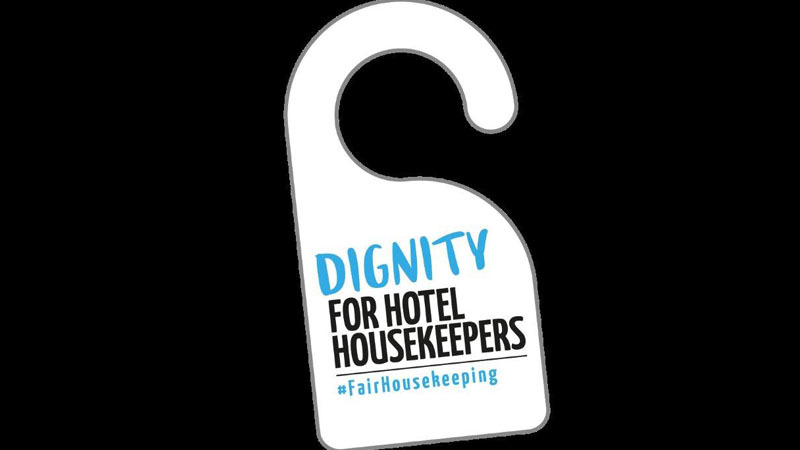 #FairhousekeepingMost hotel guests know very little about the nature of hotel cleaning and the general public is not aware of how hard and dangerous housekeepers’ work can be. Would you be able to clean your bathroom and bedroom in less than 20 minutes and then repeat it 20 times daily, five days a week. Keep your hotel room clean and tidy, as it makes it easier for the housekeeper to do their job. Put your used towels in the sink instead of throwing it on the floor. Remove your luggage and other belongings from the bed when leaving the room. If you don’t want your hotel room to be cleaned every day, put the “no disturbance” sign on the door. When you leave remove the sheets and covers from your duvet and pillow.